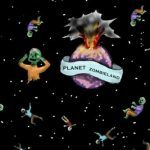 Planet Zombieland is a fascinating mystery tale of good and bad zombies, their leaders and plans on earth. It is especially designed to help students acquire English and Spanish vocabulary, (depending on the book that is used in either language) and based on the way it is written, which incorporates Teaching Proficiency of Reading through storytelling and the repetition of high frequency vocabulary. Author Patricia Lopez has an exceptional teaching and international travel background, making her uniquely qualified to write both the book and activity workbook for adult and Spanish 1 learners. 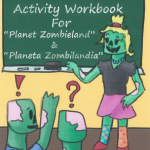 We love that the Planet Zombieland Activity Workbook is open-ended so that students get to continuously write their own ending. It also includes numerous games to personalize the learning at each step for the learner so they remain fully engaged. 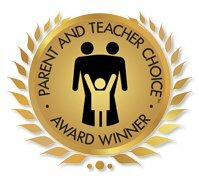 Highly recommended by the Parent and Teacher Choice Award team to anyone – parents or teachers, teaching English or Spanish with the intent to help students acquire a new language.